A naturally gifted Medium & Psychic communicating with Spirit since childhood. As a Conduit for Spirit, Raylene delivers messages from loved ones who have transitioned to the Spirit world with those of us who remain on this side of life's veil. Guided by light, love and integrity, she sets her intentions for that which will only serve one's highest & best. 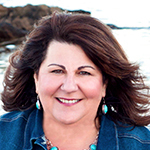 As Spirit communicates, Raylene may offer insights, guidance and spiritual tools to help you navigate your present circumstances. "Lifting the Veil with Light, Love & Integrity"
Raylene offers in-person, Skype & phone sessions. As a “Conduit for Spirit” Raylene channels communication between loved ones who have crossed over to the Spirit world and those of us who remain this side of life's veil. Raylene sets her intentions for healing to reveal that which only serves your highest and best, Raylene trusts Spirit to convey what is truly vital for her sitters healing. The pieces of evidence such as names, characteristics, likes, dislikes, relationship should be such that it validates your loved one’s presence; an opportunity for you to touch that love again, receive a message, allow for healing and or closure. She notes how often the message is in the evidence. Raylene inspires others bringing awareness to the contact our loved one’s gift us with, for all of us receive signs and messages. She believes as a human being on her path she has an ethical responsibility to honor both Spirit and you, her sitter, which is reflected in the loving way in which she delivers the information she receives whether Medium or Intuitive Psychic. Raylene is a naturally gifted Intuitive Psychic. This gift lends the ability to perceive information about a sitter, walk a metaphysical mile in their shoes and gain insight into what may be weighing their Spirit down. Raylene’s sessions weigh heavily on the side of Spirit communication, Spirit links are most often followed by intuitive guidance pertaining to areas of concern encountered along one’s life path. Raylene may ask if you are comfortable receiving a contact if one steps forth during your Intuitive Psychic session. Raylene respects Spirit both sides of life’s veil. With clarity, guidance, direction, and clarification of accurate insight and practical advice can empower a sitter coupled with new approaches of using such insight. Insights received (medium) or perceived (psychic) can be utilized as a tool by a sitter. Each sitter holds the key to implementing information, concepts, ideas or insights as they choose, for everyone has free will. It is key to all sessions that those present come with an open heart and open mind. Private sessions whether in person, via phone or Skype is unique to each sitter and their Spirit loved ones. Phone and Skype sessions lend similar intimacy to that of an in-person session for Spirit transcends time and space without limitations. Gallery and group style sessions offer a distinct experience also unique to all present both sides of life’s veil. NOTE: Raylene is not a fortune teller. Each soul has free will no matter which side of the veil they reside on. Although a natural Medium Raylene continues to study under many well-known Mediums today. Her dedication is what solidifies her commitment to and relationship with those in Spirit, as she is their voice. For more insight or information Raylene invites you to visit her website! Below are just a few testimonials clients have sent to Raylene. “Raylene lights up the room with bringing spirit's messages to our hearts. With such positive messages, you can't help but feel empowered when done with the session." From one Medium about another, Raylene is BRILLIANT. On the outside you have the warm, compassionate, fun loving soul that you immediately want to hug. On the inside resides this mechanism that is perfectly tuned and aligned to spirit. As a peer, I’ve watched in awe as Raylene shared details of loved ones who had passed away (right down to their favorite flavors of ice cream) followed by messages of hope and healing. She has an unwavering trust in spirit that presents itself in each reading. Well I am the forever skeptic. Raylene has put that skepticism on shaky ground. I cannot find logical reasons to explain what happened during our session. I know I came away questioning my skepticism and feeling somewhat like I want to cross that line into becoming a believer. It's hard not to after the session. I would return and hope to in the future to explore it further. Raylene has helped me incredibly on my spiritual journey with a warm Massachusetts frankness that you just can't resist. Not only did she help me, but one day while we were Skyping, my boyfriend - a sort of fearful skeptic, fearful of what info he might get, walked by and out of the blue she had a message for him that set him at ease and made him more comfortable. The way she effortlessly reached out and got through to him (a logical engineer) was amazing. I'm one of her biggest fans! Raylene is amazing. She's really helped me move forward and see things differently. She picks up on so much from my past that no one could ever know. She's also an amazing person to work with for this type of thing with her great personality you'll feel right at home. Raylene is a miracle unto herself. I have been "read" by many people claiming to be the real deal and after being read by Raylene I know they were all fakes. Her bubbly personality is really what makes you feel comfortable with her. She told me that my Nana Gladys is with me and that we can still talk to our loved ones on the other side, which makes me feel a lot better about death and the whole process. It's never truly goodbye, it's I'll see you again someday. This was my first experience with a medium, and my session with Raylene was amazing. I was fairly nervous, but she wasted no time into putting my nerves at ease with her professionalism and compassion. Her ability to connect with Spirit is awe-inspiring... I couldn't help but be emotional as she used her wonderful gift to transfer messages from my loved one who had passed on. It was quite the blessing, and something I'll never be able to forget. I had a wonderful session with Raylene. She help validate a lot feelings and concerns I was having. She gave a lot of good spirit guidance for myself and made me feel very at ease. I felt at peace and relaxed. It was like talking to a good friend. I highly recommend a visit with Raylene. Thank you! This was my first session with a medium. Raylene did an excellent job of preparing me and making me comfortable before we again. I was blown away. Raylene has a very special talent and I truly thank her for sharing it with the world. My reading was a lovely surprise. Skeptical, and nervous, I listened to what messages she had for me, and was amazed by her talent and loving personality. It felt like conversation with an old friend. I hadn’t truly found closure after multiple losses in my family, but felt healing immediately after time with her. I continue to hold those messages very close to my heart. If you have ever thought of sitting with a Spirit Medium, Raylene is AMAZING! You will not regret one second of it! Raylene is a warmhearted, compassionate, truthful medium. I feel very grateful to have connected with her at a time after my son died when I needed more and more signs from those on the other side. She felt like a friend immediately and I really enjoyed our time together. Raylene is a heart-centered woman with a strong connection to the Spirit realms. Her integrity and service to Spirit are above reproach. She is one of the most genuine and gifted mediums I've met in a long time! I highly recommend Raylene to anyone wishing to connect with a loved one on the other side. You wont be disappointed! I have had 2 sessions with Raylene and she was simply amazing. She is real, honest, kind and brings peace to your soul. She connected with my father whom I lost a teenager and she brought me closure and peace after years of sadness. She knew personal things that no one could have known and I never doubted her ability to connect with him for one moment. She lifts your spirits simply by being in her presence. I would highly recommend you have a session with her. Money and time so well spent! I have had several readings with Raylene. Her sensitive nature and caring approach is so appreciated when she is connecting you with spirit. She is honest with a high level of professionalism that immediately puts you at ease and validates the respect she has for each reading. Each experience I have had with Raylene has left me very peaceful. I can't say enough good things about this wonderful woman. I had never had a session with a medium before, but went in with an open mind. Raylene blew me away! It's hard to even put in to words the feelings I had during the session and after. I literally felt healed in my grief in so many ways after the time i spent there. I whole heartedly have recommend a visit with Raylene to many people in my life and anyone reading this. She truly has a gift to connect us to a side not many can.